I was sent the below article by a professor of mine who taught me in a class called Cultures of Resistance when I was at York University. This issue of Haiti has been bothering me since the quake happened. It makes me upset that people aren’t thinking more critically about all the events surrounding the quake, the idea of ‘help’ and media coverage/perspective. There has been an explosion fundraisers happening and I have been asked to participate in one way or another in at least five of them. I can’t in good faith participate if the historical significance of Haiti is not eve considered let alone mentioned and we are asked to “dance for haiti” or “bowl for haiti” with no background on what this tragic event actually means in a historical, political and social context. At the same time, I am not educated about Haiti, outside of having Haitian friends (which means little to nothing when it comes to education and understanding around these issues) I don’t have a clear history of Haiti in my head and have never personally been there unlike Cuba or Rio or Nairobi. Being there means knowing people in the ground and not necessarily giving money or supplied to the default organization like the Red Cross. I wrote something longer about it from a personal perspective but read this today and thought it was important for people to have it and to start pushing for a more critical evaluation of what is actually happening in Haiti right now. 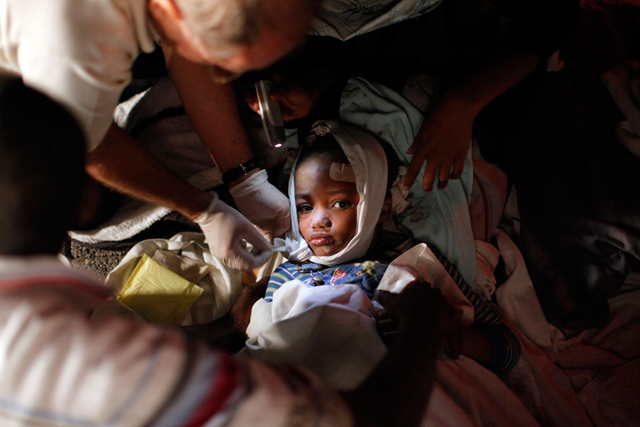 People need support right now in Haiti.. but have they been supported thus far? 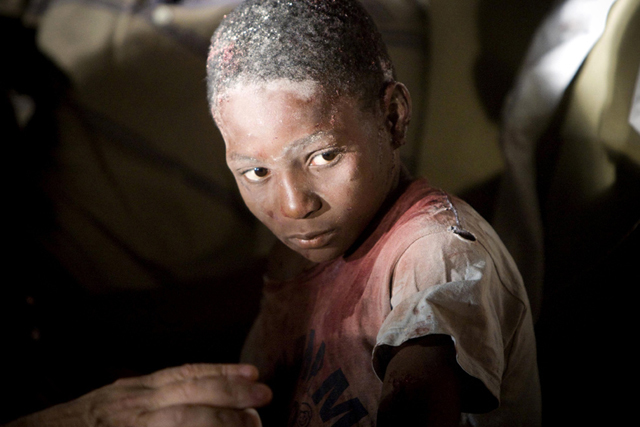 How many of us were thinking about Haiti before the quake hit? If we are organizing fundraisers are we seeking out the Haitian community to be involved, to speak, to perform, to give personal accounts and I think most importantly to give a clear historical context of why Haiti is in the state that it is in right now. Below is the article.. please read.. I also want to encourage the Haitian people in Toronto and Montreal and all over to speak out as forcefully as possible about Haiti so we are not forced to be hearing about Haiti from the perspective of foreigners with unknown intentions (huge industry around disaster capitalism) but rather from the people themselves about their home from their perspective. It is so important that we not hear about you from others but from you. I would feel much more comfortable supporting something that was from you and for your people and your home then random events born out of pity and guilt.. rather these efforts should be born out of love and true connection to a place and you have that more then any of us. BY SIR HILARY BECKLES / THE UNIVERSITY OF THE WEST INDIES is in the process of conceiving how best to deliver a major conference on the theme Rethinking And Rebuilding Haiti. The French refused to recognise Haiti’s independence and declared it an illegal pariah state. The Americans, whom the Haitians looked to in solidarity as their mentor in independence, refused to recognise them, and offered solidarity instead to the French. The British, who were negotiating with the French to obtain the ownership title to Haiti, also moved in solidarity, as did every other nation-state the Western world. -Sir Hilary Beckles is pro-vice-chancellor and Principal of the Cave Hill Campus, UWI.